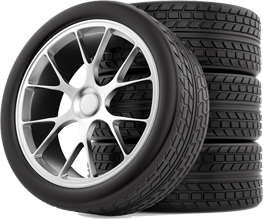 Whether you are a tire store, body shop, collision shop, car dealership or an individual, we will strive to supply you with the correct wheel and/or tire for your vehicle. As always, feel free to contact us at any time and we will do our best to help. Specializing in the sale of original equipment wheels, rims, and tires to customers in the automotive repair market. Whether you are a body shop, collision center, tire store, or other automotive repair shop, Midwest Wheel & Tire can satisfy your OEM wheel and tire needs. We will sell directly to the public so if you are looking for a single replacement wheel or a set of four to upgrade the look of your vehicle, we can help! We only deal in genuine factory parts and OEM style wheels and rims. We don’t carry aftermarket or custom wheels so the OEM Wheels that we do carry can be delivered quickly with the utmost care and integrity. Founded in 2009 outside of Detroit, Midwest Wheel & Tire has quickly become one of the automotive industry’s most respected OEM Wheel suppliers in the world. In addition to OEM wheels and tires, we also supply other OEM wheel accessories such as center caps, tire pressure monitors, and lug nuts. Finally, we pride ourselves on our ability to be readily available. Please feel free to contact us via email, phone, live chat or fax. We will often return your calls after hours and on weekends.